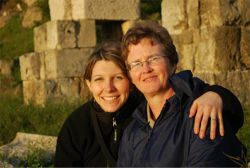 When Betsy was a midwifery student, one of the desires of her heart was to be a midwife to people in foreign countries. She believes this desire came from her own background, as she was born to missionary parents in a foreign country. She therefore knew the desire of some couples to have their babies where they live, and she wished to minister in this way. 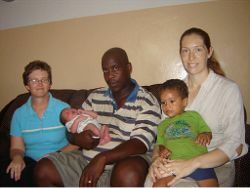 In January of 2007, Betsy delivered a baby for a couple who subsequently left to live in Africa. When they left, she offered to come to their home to deliver their next child. They later contacted Betsy and let her know when their next child was expected. She cleared her calendar and prepared to go to their home to be their midwife in their new country. This was the beginning of the dream that Betsy had as a student. Betsy delivered that child in December 2008, and since then has been to several countries and delivered several babies overseas. Betsy has had some sobering times as an international midwife. Circumstances are usually not the same as they are in her comfort zone of Texas. Her faith has to come into play very strongly in some cases, but she is enjoying the traveling and meeting wonderful new people all over the world. She is a very adaptable person. She enjoys learning about new cultures and languages, and loves eating different foods. She is hardy and does not have to be “entertained.” She does not mind “roughing it” in moderation. 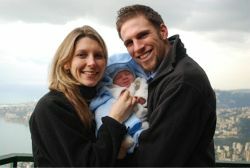 If a client has a dream of having her child at home in a country in which midwifery is legal, she may contact Betsy. Topics of discussion include supplies, fees and whether this is a possibility. A couple has to have prenatal care and an emergency plan in place. Betsy is beginning to live her dream of ministering to people worldwide, so she looks forward to visiting with clients about this, and perhaps becoming your international midwife as well!